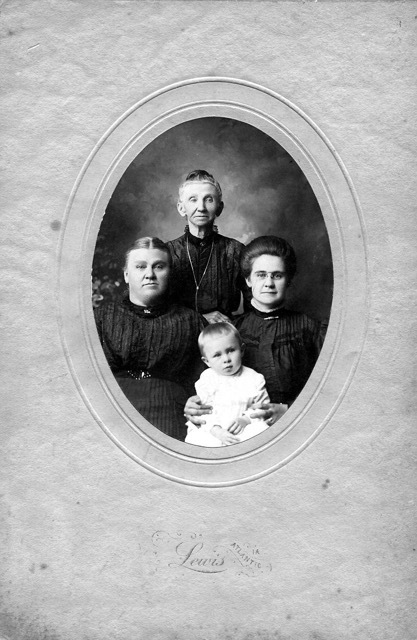 Above, four generations of the Harris Family, circa 1910, Atlantic, Iowa. In front, Claude Raymond Malone. Middle, from left to right, Margaret Ann "Maggie"
(Acker) Harris and Edna Estelle (Harris) Malone. In back, Elizabeth (Geist) Acker.